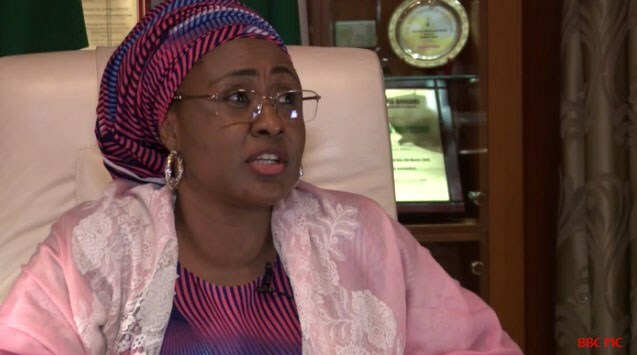 The Wife of Nigeria President, Aisha Buhari has appealed to owners of private health institutions in Nigeria to reduce the high cost of their services. She made the appeal on Wednesday during a courtesy visit by officials of the Association of General and Private Medical Practitioners of Nigeria (AGPMPN) at the State House on Wednesday. Mrs. Buhari observed that many Nigerians who do not have access to public health services resort to private hospitals which were very expensive and this had implications on not just the patients but the nation’s health indices. “Private health care is expensive, your association needs to revisit the issue of charges” she called on practitioners to make treatments affordable so that more people can access your services and health outcomes can improve. “I also urge your association to check cases of malpractice by private hospitals, which are becoming more rampant,” she said. She also lamented the brain drain in the health sector, noting that people travel abroad mostly to be treated by Nigerian practitioners. The wife of the President called for better working conditions for medics so that they would be encouraged to remain in Nigeria. She recommended a Public-Private Partnership, whereby private sector firms can invest in the health sector and reduce the burden on government. “That is why I am convening a stakeholder event soon, to draw their attention to the possibilities and opportunities in the sector,” she said. President of the Association, Dr. Frank Odofen, commended the wife of the President’s commitment to the health of women and children through the Future Assured Programme, which dovetailed into her recent appointment as UNAIDS ambassador, believing that with her passion, health care indices will improve in Nigeria. President of World Organization of Family Doctors, Prof. Amanda Howe, who was on a two-day visit to Nigeria, observed that the pronouncements and programmes of Mrs. Buhari were worthy of emulation as the challenges in the health sector required strong commitment. She also noted happily that medical personnel in Nigeria communities were doing wonderful jobs by providing support and preventing diseases through education of families, patients and health workers.